Businesses entering the content marketing game experience a trickier adjustment period than others, due to the technical nature of their industry and customer needs. 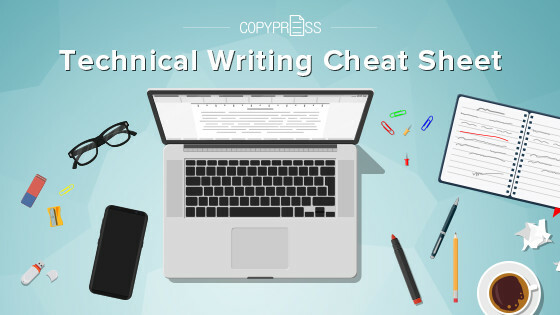 Technical writing is an entirely separate skill from the more common persuasive or creative styles used in online content, but it shouldn’t be ignored. Whether you need to hire a technical writer or write content yourself, take a look at our tips and guidelines on superb technical writing. Opposed to creative writing, technical writing is the skill of communicating information in a highly specialized field, including, but not limited to, mathematics, science, and engineering. It’s also distinct from academic writing, where the general goal is to present the writer’s knowledge of a particular topic. Technical writing is about concisely teaching the reader how to do something specific. Usually, it involves instructions for products or services, such as installation and starting manuals for new televisions. How does technical writing appear in online content marketing? This sort of material should normally target pre-qualified individuals, such as customers. For example, if you sell digital products, you could add extra value to the confirmation email with the software itself, such as a PDF article that clearly explains how to install the software and use it. Things of this nature are much appreciated, especially compared to the almost unreadable standard many README documents take. Technical content isn’t necessarily worse at drawing in customers, traffic, and visibility compared to more “exciting” types of writing. Helpful web pages are optimized to display when people ask specific questions. The pages answer questions in a technically-written and satisfying way. This type of content produces a steady stream of repeat customers who’re impressed by the attention to detail. They often choose to buy again. The mindset to composing, ideating, or judging technical writing is based on making your reader’s day easier. Technical writing is not the place for fluff. 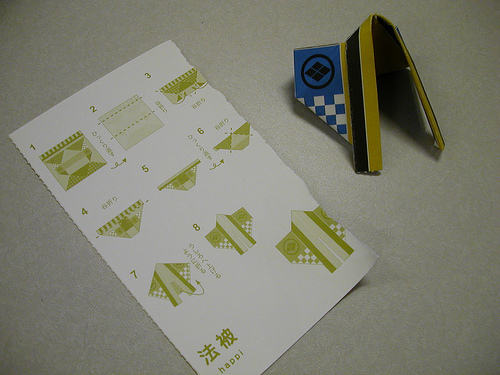 It should help a person complete a task they are not familiar with. It can also be used to help someone understand a serious concept, such as safety tips for operating machinery. Assume your reader has limited time and only one opportunity to read your piece. Don’t include non-essential ideas to the instructions, such as something that’s “easy to learn”. Technical writing should be accessible to anyone with basic literacy in English. In many cases, it should be written simply enough to easily be translated into a number of other languages. This means you shouldn’t include idioms, such as “killing two birds with one stone”, slang, or other constructions that won’t carry over gracefully into multiple languages. Think about how instruction manuals are the same brief set of instructions, but with many translations. This also applies to online content, because a simple click can roughly translate to most webpages. Online technology is so abundant these days. No matter what you’re doing, there is likely an app designed to help you. There are a number of great technical writing tools out there, from research software to programs that let you create a wiki for your business. Tools that create clean screenshots and other visual aids are worth using. The editors are also needed to polish them with circled or highlighted elements. If you need to direct people down potential instructional routes, organized information and graceful design software is a must. Technical writing is often more of a collaborative process compared to other types of writing. Working within a composition tool that encourages communication, such as Google docs, is a great way to discuss various technical requirements of the writing assignment and how they’re being met. If nothing else, this software will help you escape having to repeatedly send documents back dozens of times, often to correct tiny issues that different team members bring up. Remember that tools shouldn’t just be used to create your technical content. It should also be implemented into the reader’s experience. Remember that you’re creating a helpful, accessible, and thorough guide, not an expository blog post. Don’t be like other companies and host an unhelpful knowledge base full of frequently asked questions accompanied by vague, fluffy answers. Use visual aids with animation or video to further illustrate what the text is saying and write with them in mind. Offer links to exact webpages a person should visit for more information. In addition to making technical writing easily understood and translatable, simplicity matters because technical writing shouldn’t disqualify anyone. For example, you might release a college-level white paper for customers who are interested in your advanced products or services. However, for a simple set of instructions on your baseline products, such a barrier isn’t acceptable. This can be difficult for writers inexperienced in technical writing because there’s often a natural creative urge to make language more dazzling and complex. Technical writing should also be consistent in its sentence structure. Every sentence should feature the most important information first. For instance, “After you handle raw meat, wash your hands,” should be reversed to “Wash your hands after handling raw meat.” A direct instructive order will typically be taken as top priority. Finally, the writing will probably have to go through a few editing stages to simplify words throughout the piece. For example, if “demonstrate” is replaced by “explain” and still make sense in context, then it should be changed. What’s most important is that you make something as simple as possible. Be sure not to dilute the message or its clarity. There are many choices for your medium when it comes to content creation. If you need to explain something complicated, sometimes pure technical writing is more reliable and thorough than video or infographics alone. Other times, you may need a technically-written script to create narrated, visual content. Whatever the situation, keep the information listed above in mind, whether you write technical projects or manage the creative process for the technical pieces published by your business.